Amore Pacific is one of the leading cosmetic companies in South Korea, and has hundreds of exclusive beauty products available on their U.S. website. With Big Apple Buddy’s personal shopping service, you can now buy direct from the Amore Pacific online store anytime, anywhere. 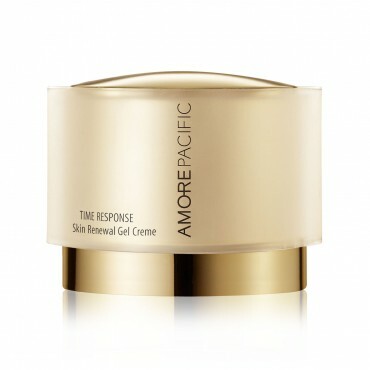 The Time Response Skin Renewal Creme is exclusive to the Amore Pacific brand and works to correct all signs of aging. This intensive creme uses the highest concentrations of world-renowned, patented green tea ingredients to provide superior anti-aging results. Applying this moisturizer helps to reduce signs of aging that already exist and also to protect against any potential future damage to the skin. Help restore your skin to a state of optimal smoothness and radiance! Amore Pacific also offers a variety of masks to keep your skin feeling fresh and renewed at all times. The Time Response Targeted Eye Masque concentrates specifically on the eye area, where our skin is most vulnerable to signs of aging, and helps diminish the appearance of fine lines and wrinkles. You can either apply one sheet under each eye or choose to place them on the forehead and chin areas, where they will also work to help you achieve smoother and more refreshed skin. 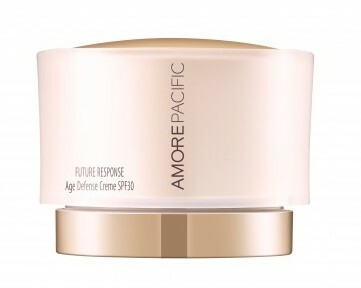 Amore Pacific also understands how important it is to protect your skin from the sun’s harmful rays, and the Future Response Age Defense Creme SPF 30 will do just that while also helping to counteract the effects of aging. Apply this cream before heading out into the sun and you’ll be protected from both sunburn and inflammation, two things that can lead to premature signs of aging like fine lines and wrinkles. Your skin will be left feeling smoother and more refreshed if you apply this before spending time in the sun! Unfortunately, the USA Amore Pacific online store does not currently offer international shipping. However, Big Apple Buddy, your personal shopper, can help you buy products direct from the official USA Amore Pacific online store and ship them to your doorstep, no matter where you are in the world. If you would like to buy from the USA Amore Pacific online store, simply let us know which items you would like to order (by filling out the form below) and we’ll get back to you with a free international shipping quote within 24 hours!